Its that part of the dark side which has always beckoned to you in your dreams. 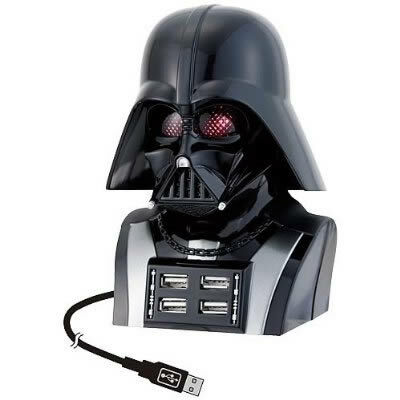 Just to make your life the living nightmare that it really is, you could get this Darth Vader USB 4-port Hub and either continue with the torment even in your waking hours or simply give in and admit that you belong to that part of the force. 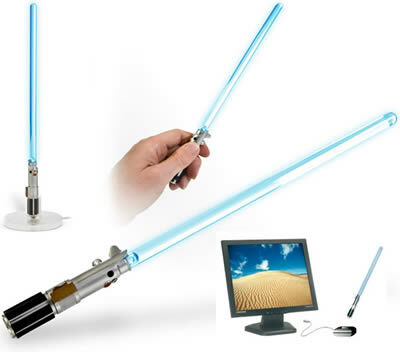 Fans of the Star Wars saga can now light up their workspace using the weapon of a Jedi: the Star Wars Lightsaber USB Lamp. The lightsabre is 13 inches tall, and yes, it can be removed from its dock to be used as your weapon of choice. 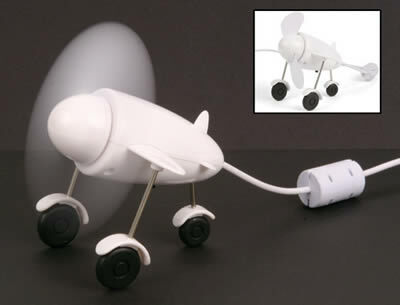 The aviators out there can now keep cool during their flight simulator sessions in front of the computer, using this USB Airplane Fan. Cool man, cool! 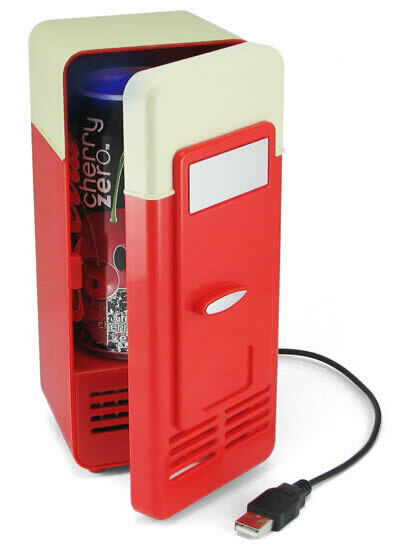 This is -literally- the coolest one of all: a USB mini fridge for your drinks. Plug this USB LED Beverage Cooler to your PC's USB port and chill a can on your own desk. One of the coolest USB accesories out there, the LED Beverage Cooler is retro styled and has a small blue LED inside. The LED helps your drink stay cool by tricking it to think the air inside the cooler is from the Arctic, because everyone knows that blue lights make you feel cold. So add a little style to your desk and keep your drink cold at the same time. Chill, dude. Messy desk? 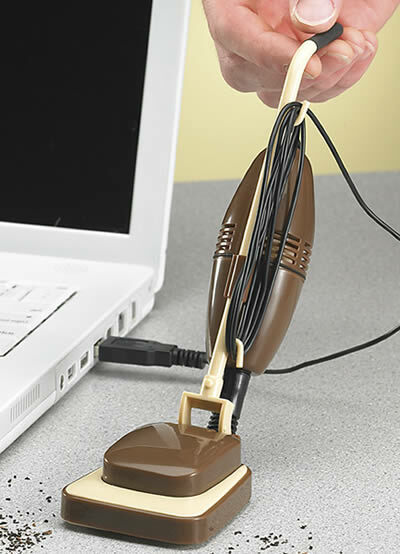 Well, this tiny retro-designed USB Desk Vacuum can’t help with the big stuff, but it can definitely help keep your workstation crumb-free! Just plug it into a free USB port and vacuum up those crumbs... and yes, the mini-vacuum handle tilts back, just like the real one. Cool, as in "clean." 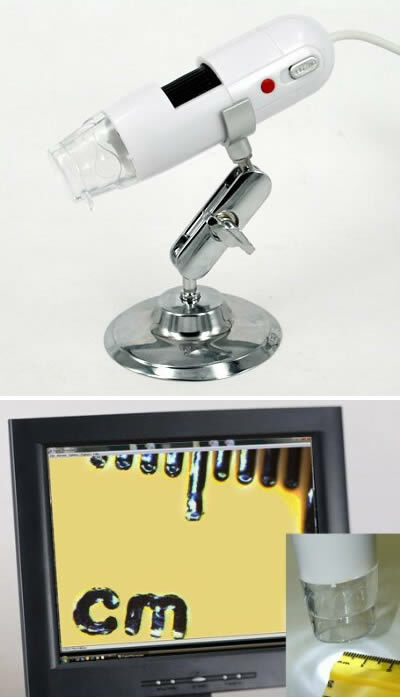 This USB Digital Microscope allows you to capture some incredibly high quality images and video (up to 200X) and display them on your PC using a simple USB connection. View specimens collected around the house, backyard, your desk, or the fridge. Look at the micro-printing on a dollar bill or examine the traces on your motherboard. This microscope provides you an easy way to zoom in on a wide variety of objects to satisfy your curiosity of the world around you. Ever wondered what lint looks like or the mold growing on your week-old bagels? Now you can find out. The workplace has become a dangerous place. Sonic grenades, catapults, lightsabers, ninjas... you need protection, and not just any. 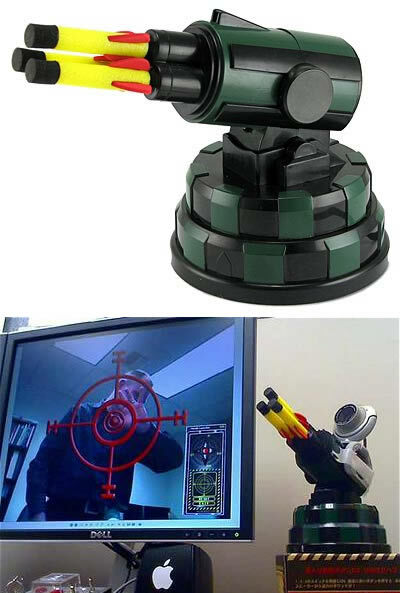 Defend your office with this awesome USB Missile Launcher and fire those missiles right from your desk. The Missile Launcher moves Left, Right, Up and Down, has got pre-recorded sound effects and shoots more than 10 feet at an extremely fast rate. Just the word plasma makes you think of going boldly where no-one has gone before. 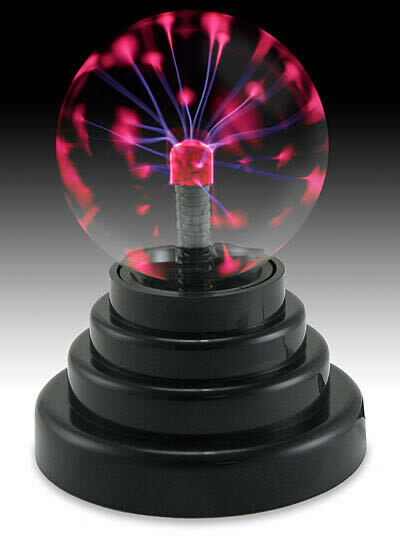 However, the beauty of this awesome USB Plasma Ball is that you don't have to wrestle Klingons in the outer regions of the Thark Quadrant to play with it; just plug this neat gizmo into your USB port, and streams of red and blue plasma light will flicker out from the core of the hand-blown glass sphere throwing mesmerising light trails across its surface. Touch the sphere with your fingers, and blue light will shoot out towards your fingertips. It sounds like the ultimate male fantasy - a Pole Dancer on your desk everyday In fact, it should be included as part of the standard workplace agreement, but well, it's finally within your grasp – so to speak. 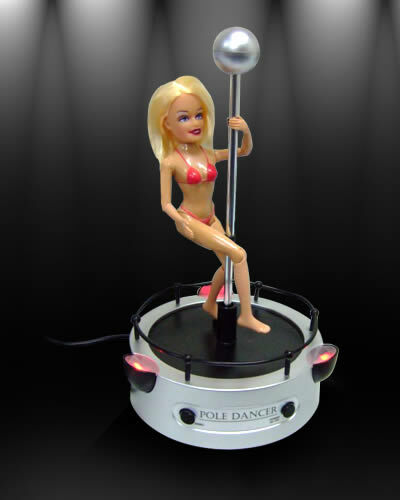 The USB Pole Dancer is the pole dancer you can admit to when everyone's watching. Just plug her into your USB port and start typing. As you type, she performs. The lights flash, the music plays and your bikini-clad blonde performs her routine. And there's no need to go tucking dollars anywhere (we read somewhere, they do that): the faster you type, the faster this cheeky minx dances. This unique USB Portable Roll Up Chess Game allows you to track your moves on the board. You can play against a friend or the computer and even use it as a portable game board. The included software allows you to record, save and replay your games. 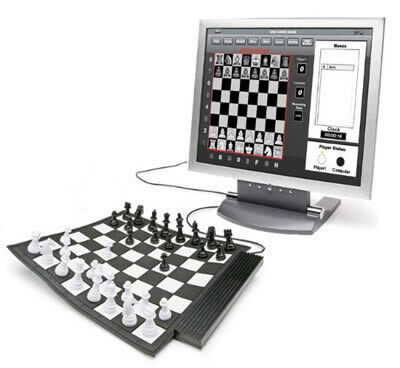 Simply tap the board with your chess piece to signify a move and the software will keep track.